Feldforschung u.a. in Österreich, Israel, Australien (inkl. Tasmanien), Russland und Aserbeidschan (Kaspisches Meer), Mexiko, Italien, Südafrika, Bermuda, Frankreich, USA. 118. Schwentner, M.; Richter, S.; Rogers, D.C.; Giribet, G. (2018): Tetraconatan phylogeny with special focus on Malacostraca and Branchiopoda: highlighting the strength of taxon-specific matrices in phylogenomics. Proceedings of the Royal Society B 285:20181524. 117. Scholz, S.; Richter, S.; Wirkner, C.S. (2018): Constant morphological patterns in the hemolymph vascular system of crayfish (Crustacea, Decapoda). Arthropod Structure & Development 47: 248-267. 116. Leitinger, J.P.; Richter, S. (2018): The chewing lice (Phthiraptera: Ischnocera, Amblycera) of the great cormorant (Phalacrocorax carbo). Parasitology International 67:528-532. 115. Richter, S.; Bick, A. (2018): ROSTOCK: The Zoological Collection of the University of Rostock. In: Zoological Collections of Germany, Natural History Collections. Beck, L.A. (Ed.). Springer. 114. Richter, S.; Schwentner, M.; Wirkner, C.S. ; Ahyong, S.T. (2018): Phylogeny and species diversity of Tasmanian mountain shrimps and their relatives (Crustacea, Anaspidesidae). Zoologica Scripta 47 (1): 84–105. 113. Fritsch, M.; Richter, S. (2017): Unexpected UBX expression in the maxilliped of the mystacocarid crustacean Derocheilocharis remanei - evidence for a different way of making a maxilliped? Development Genes and Evolution 227 (4): 289-296. 112. Ahyong, S.T. ; Schwentner, M.; Richter, S. (2017): The Tasmanian Lake Shrimps, Paranaspides Smith, 1908 (Crustacea, Syncarida, Anaspidesidae). Records of the Australian Museum 69(4): 259-275. 111. Richter, S. (2017): Homology and synapomorphy-symplesiomorphy—neither synonymous nor equivalent but different perspectives on the same phenomenon. Cladistics 33(5): 540-544. 110. Wirkner, C.S. ; Göpel, T.; Runge, J.; Keiler, J.; Klußmann-Fricke, B.-J. ; Huckstorf, K.; Scholz, S.; Mikó, I.; Yoder, M.; Richter, S. (2017): The first organ-based ontology for arthropods (Ontology of Arthropod Circulatory Systems - OArCS) and its integration into a novel formalization scheme for morphological descriptions. Systematic Biology 66(5): 754-768. 109. Keiler, J.; Wirkner, C. S.; Richter, S. (2017): 100 years of carcinization – the evolution of the crab-like habitus in Anomura. Biological Journal of the Linnean Society 121(1): 200-222. 108. Göpel, T. & Richter, S. (2016): The word is not enough: on morphemes, characters and ontological concepts. Cladistics 32(6): 682-690. 107. Keiler, J.; Richter, S.; Wirkner, C.S. (2016): Revealing their innermost secrets: an evolutionary perspective on the disparity of the organ systems in anomuran crabs (Crustacea: Decapoda: Anomura). Contributions to Zoology: 85: 361-386. 106. Frase, T. & Richter, S. (2016): Nervous system development in the fairy shrimp Branchinella sp. (Crustacea: Branchiopoda: Anostraca): Insights into the development and evolution of the branchiopod brain and its sensory organs. Journal of Morphology 227: 1423–1446. 105. Richter, S. (2016): Peter Ax's views on homology - a comparison with Remane and Hennig. Peckiana 11: 67-75. 104. Richter, S.; Stach, T.; Wanninger, A. (2016): Perspective - Nervous system development in bilaterian larvae: testing the concept of 'primary larvae'. Chapter 25: 313-324. In: A. Schmidt-Rhaesa, S. Harzsch, G. Purschke (Eds.). Structure and Evolution of the Invertebrate Nervous Systems. Oxford University Press. 103. Stegner, M.; Richter, S. (2016): Cephalocarida. Chapter 42: Pp: 506-513. In: A. Schmidt-Rhaesa, S. Harzsch, G. Purschke (Eds.). Structure and Evolution of the Invertebrate Nervous Systems. Oxford University Press. 102. Fritsch, M. ; Richter, S. (2016): Branchiopoda. Chapter 43: Pp. 514-521. In: A. Schmidt-Rhaesa, S. Harzsch, G. Purschke (Eds.). Structure and Evolution of the Invertebrate Nervous Systems. Oxford University Press. 101. Fritsch, M.; Richter, S. (2015): How the cladoceran heterogonic life cycle evolved - insights from gamogenetic reproduction and direct development n Cyclestherida. Evolution & Development 17: 356-366. 100. Jaszkowiak, K.; Keiler, J.; Wirkner, C.S. ; Richter, S. (2015): The mouth apparatus of Lithodes maja (Crustacea: Decapoda) - form, function and biological role. Acta Zoologica 96: 401–417. 99. Keiler, J.; Richter, S.; Wirkner, C.S. 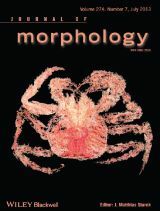 (2015): The anatomy of the king crab Hapalogaster mertensii Brandt, 1850 (Anomura: Paguroidea: Hapalogastridae) – new insights into the evolutionary transformation of hermit crabs into king crabs. Contributions to Zoology 84: 149-165. 98. Schwentner,, M. & S. Richter (2015): Stochastic effects associated with resting egg banks lead to genetically differentiated active populations in large branchiopods from temporary water bodies. 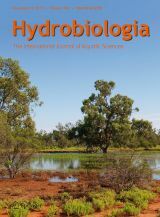 Hydrobiologia 760:239-253. 96. Schwentner,, M., Timms, B.V. & S. Richter (2015): Spinicaudata (Branchiopoda: Diplostraca) in Australia's arid zone: unparalleled diversity at regional scales and within water bodies. Journal of Crustacan Biology 35: 366-378. 95. Rogers, C., Schwentner, M., Olesen, J. & S. Richter (2015): Evolution, classification, and global diversity of large Branchiopoda. Journal of Crustacean Biology 35: 297-300. 94. Stegner, M.E.J. & S. Richter (2015): Development of the nervous system in Cephalocarida (Crustacea): early neuronal differentiation and successive patterning. Zoomorphology 134:183–209. 93. Stegner, M.E.J. ; Stemme T.; Iliffe T.M; Richter, S.; Wirkner, C.S. (2015): The brain in three blind representatives of Thermosbaenacea, Spelaeogriphacea and Mictocaridida (Peracarida, Malacostraca, Crustacea. BMC Neuroscience 16: 19. 92. Schwentner, M.; Just, F. & S. Richter (2015): Evolutionary systematics of the Australian Cyzicidae (Crustacea, Branchiopoda, Spinicaudata) with the description of a new genus. Zoological Journal of the Linnean Society 173: 271–295. 91. Deans, A.R. ... Richter, S. ... Wirkner, C.S. et al. (73 authors) (2015): Finding our way through phenotypes. PLoS Biology 13: e1002033. 90. Keiler, J., Richter, S. & Wirkner, C.S. (2015): Evolutionary morphology of the organ systems in squat lobsters and porcelain crabs (Crustacea: Decapoda: Anomala) - an insight into carcinization. Journal of Morphology 276:1–21. 89. Richter, S. & C.S. Wirkner (2014): A research program for Evolutionary Morphology. Journal of Zoological Systematics and Evolutionary Research 52: 338-350. 88. 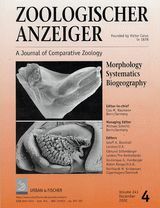 Kaji, T., Fritsch, M., Schwentner, M., Olesen, J., Richter S. (2014): Male claspers in clam shrimps (Crustacea, Branchiopoda) in the light of evolution: a case study on homology versus analogy. Journal of Experimental Zoololgy B Mol Dev Evol 322:269-80. 87. Loesel, R. & S. Richter (2014): Neurophylogeny - from description to character analysis. Pp: 505-514. In: Deep Metazoan Phylogeny: The backbone of the Tree of Life. Wägele J.W. ; Bartholomäus T. (Eds.). De Gruyter, Berlin. 86. Stegner, M.E.J., Fritsch, M. & S. Richter (2014): The central complex in Crustacea. Pp: 361-384. In: Deep Metazoan Phylogeny: The backbone of the Tree of Life. Wägele J.W. ; Bartholomäus T. (Eds.). De Gruyter, Berlin. 85. Stegner, M.E.J., Brenneis, G. & S. Richter (2014): The ventral nerve cord in Cephalocarida (Crustacea): New insights into the ground pattern of Tetraconata. Journal of Morphology 275: 269-294. 83. Jirikowski, G., Richter, S., Wolff, C. (2013): Myogenesis of Malacostraca – the “egg-nauplius” concept revisited. Frontiers in Zoology 2013, 10:76. 82. Richter, S. (2013): Günter Tembrock (1918 - 2011) - sein Wirken für die Gesellschaft Naturforschender Freunde. Sitzungsberichte der Gesellschaft Naturforschender Freunde (NF) 49: 197-202. 81. Richter, S. (2013): Willi Hennig und die Phylogenetische Systematik - Gedanken zum 100. Geburtstag des Revolutionärs der Systematik. Zoologie 2013. Mitteilungen der Deutschen Zoologischen Gesellschaft. S. 31-40. 80. Richter, S., Schminke, H.K. (2013): Mandibulata. In: Westheide, W.; Rieger, G. (eds.) Spezielle Zoologie. Teil 1. Einzeller und Wirbellose Tiere. Springer Spektrum, S. 542-543. 79. Richter, S. (2013): Panarthropoda, Arthropoda. In: Westheide, W.; Rieger, G. (eds.) Spezielle Zoologie. Teil 1. Einzeller und Wirbellose Tiere. Springer Spektrum, S. 454-456; 474-487. 75. Richter, S.; Wirkner, CS (2013): Objekte der Morphologie. S. 93-97. In: M. Bruhn, G. Scholtz (Eds.) Morphologien. Bildwelten des Wissens 9.2. Akademie Verlag Berlin. 74. Fritsch , M., Kaji, T., Olesen, J. & Richter, S. (2013): The development of the nervous system in Laevicaudata (Crustacea, Branchiopoda): insights into the evolution and homologies of branchiopod limbs and ‘frontal organs’. Zoomorphology 132:163–181. 73. Richter, S., Stein, M., Frase, T., Szucsich, N. U. (2013): The Arthropod Head. Pp 223-240. In: Minelli, A.; Boxshall, G.; Fusco, G. (eds.) Arthropod Biology and Evolution - Molecules, Development, Morphology. Springer, Heidelberg. 72. Schwentner, M., Clavier, S., Fritsch, M., Olesen, J., Padhye, S., Timms, B.V. & Richter, S. (2013). Cyclestheria hislopi (Crustacea: Branchiopoda): A group of morphologically cryptic species with origins in the Cretaceous. Molecular Phylogenetics and Evolution 66: 800–810. 71. Wirkner, S. & Richter, S. (2013): Circulatory System and Respiration. Chapter 14. Pp 376-412. In: Thiel, M. & Watling, L. The Natural History of Crustacea. Vol. I, Functional Morphology and Diversity. Oxford University Press. 70. Olesen, J. & Richter, S. (2013): Onychocaudata (Branchiopoda: Diplostraca), a new high-level taxon in branchiopod systematics. Journal of Crustacean Biology 33: 62-65. 69. Schwentner, M., Timms, B.V. & Richter, S. (2012): Flying with the birds? – Recent large-area dispersal of four Limnadopsis species (Crustacea: Branchiopoda: Spinicaudata). Ecology and Evolution 2: 1605–1626. 68. Fritsch, M.; Richter, S. (2012): Nervous system development in Spinicaudata and Cyclestherida (Crustacea, Branchiopoda) – comparing two different modes of indirect development by using an event pairing approach. Journal of Morphology 273: 672–695. 67. Schwentner, M.; Timms, B.V.; Richter, S. (2012): Description of four new species of Limnadopsis from Australia (Crustacea: Branchiopoda: Spinicaudata). Zootaxa 3315: 42–64. 66. Schwentner, M., Timms, B.V., Richter, S. (2011): An integrative approach to species delineation incorporating different species concepts: a case study of Limnadopsis (Branchiopoda: Spinicaudata). Biological Journal of the Linnean Society 104: 575-599. 65. Keiler, J.; Richter, S. (2011): Morphological diversity of setae on the grooming legs in Anomala (Decapoda: Reptantia) revealed by scanning electron microscopy. Zoologischer Anzeiger 250: 343-366. 64. Reimann, A.; Richter, S.; Scholtz, G. (2011): Phylogeny of the Anomala (Crustacea, Decapoda, Reptantia) based on the ossicles of the foregut. Zoologischer Anzeiger 250: 316-342. 63. Stegner, M.E.J. ; Richter, S. (2011): Morphology of the brain in Hutchinsoniella macracantha (Cephalocarida, Crustacea). Arthropod Structure and Development 40: 221-243. 62. Fritsch, M.; Richter, S. (2010): The formation of the nervous system during larval development in Triops cancriformis (Bosc) (Crustacea, Branchiopoda): An immunohistochemical survey. Journal of Morphology 271:1457-1481. 61. Richter, S.; Loesel, R.; Purschke, G.; Schmidt-Rhaesa, A.; Scholtz, G.; Stach, T.; Vogt, L.; Wanninger, A.; Brenneis, G.; Döring, C.; Faller, S.; Fritsch, M.; Grobe, P.; Heuer, C.M. ; Kaul, S.; Møller, O.S. ; Müller, C.H.G. ; Rieger, V.; Rothe, B.H. ; Stegner, M.E.J. ; Harzsch, S. (2010): Invertebrate neurophylogeny - suggested terms and definitions for a neuroanatomical glossary. Frontiers in Zoology 7:29. 60. 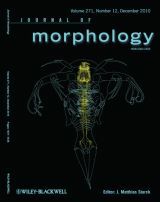 Jirikowski G., Kreissl S., Richter S., Wolff C. (2010): Muscle development in the marbled crayfish—insights from an emerging model organism (Crustacea, Malacostraca, Decapoda). Development Genes and Evolution 220: 89-105. 59. Wirkner, C.S. ; Richter, S. (2010): Evolutionary Morphology of the circulatory system in Peracarida. Cladistics 26: 143-167. 58. Brenneis, G.; Richter, S. (2010): Architecture of the nervous system in Mystacocarida (Arthropoda, Crustacea) - an immunohistochemical study and 3D reconstruction. Journal of Morphology 271: 169-189. 57. Schwentner, M.; Timms, B.V., Bastrop, R.; Richter, S. (2009): Phylogeny of Spinicaudata (Branchiopoda, Crustacea) based on three molecular markers - an Australian origin for Limnadopsis. Molecular Phylogenetics & Evolution 53: 716-725. 56. Richter, S.; Møller, O.S. ; Wirkner, C.S. (2009): Advances in Crustacean Phylogenetics. Arthropod Systematics & Phylogeny 67: 275-286. 55. Timms, B.V.; Richter, S. (2009): The clam shrimp Eozycicus (Branchiopoda: Spinicaudata: Cycicidae) in Australia. Journal of Crustacean Biology 29(2): 245-253. 54. Wirkner, C.S. ; Richter, S. (2009): The hemolymph vascular system in Tethysbaena argentarii (Thermosbaenacea, Monodellidae) as revealed by 3D reconstruction of semi-thin sections. Journal of Crustacean Biology 29(1): 13-17. 53. Vogt, G.; Wirkner, C.S. 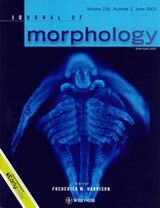 ; Richter, S. (2009): Symmetry variation in the heart-descending artery system of the parthenogenetic Marbled Crayfish. Jounal of Morphology 207: 221-226. 52. Richter, S. (2008): Hans-Eckard Gruner (15. Mai 1926 – 6. Dezember 2006). Sitzungsberichte der Gesellschaft Naturforschender Freunde zu Berlin 47: 73-76. 51. Richter, S. (2008): Günter Tembrock und die Gesellschaft Naturforschender Freunde zu Berlin. In: A. Wessel (Hrsg.) „Ohne Bekenntnis keine Erkenntnis“ – Günter Tembrock zu Ehren. Berliner Studien zur Wissenschaftsphilosophie und Humanontogenetik Band 25. Kleine Verlag, Bielefeld. 50. Haupt, C.; Richter, S. (2008): Limb articulation in caridoid crustaceans revisited – new evidence from Euphausiacea (Malacostraca). Arthropod Structure & Development 37: 221-233. 49. Wirkner, C.S. ; Richter, S. (2008): Morphology of the hemolymph vascular system in Tanaidacea and Cumacea – implications for the relationships of “core group” Peracarida (Malacostraca; Crustacea). Arthropod Structure & Development 37: 141-154. 48. Reimann, A.; Richter S. (2007): The nauplius eye complex in ‘conchostracans’ (Crustacea, Branchiopoda: Laevicaudata, Spinicaudata, Cyclestherida) and its phylogenetic implications. Arthropod Structure & Development 36: 408-419. 47. Richter, S. (2007): Aufgaben einer Evolutionären Morphologie im 21. Jahrhundert. S. 49-57. In: J.W. Wägele (Herausgb.) Höhepunkte der Zoologischen Forschung im deutschen Sprachraum. Festschrift zur 100. Jahresversammlung der Deutschen Zoologischen Gesellschaft in Köln vom 21. Bis 24. September 2007. 46. Richter, S.; Olesen, J.; Wheeler, W.C. (2007): Branchiopod phylogeny – a combined analysis using morphology and six molecular loci. Cladistics 23: 301-336. 45. Wirkner, C.S. ; Richter. S. (2007): The circulatory system and its spatial relations to other major organ systems in Spelaeogriphacea and Mictacea (Malacostraca, Crustacea) – a three-dimensional analysis. Zoological Journal of the Linnean Society 149: 629-642. 44. Kirsch, R.; Richter, S. (2007). The nervous system of Leptodora kindtii (Branchiopoda, Cladocera) surveyed with Confocal Scanning Microscopy (CLSM), including general remarks on the branchiopod neuromorphological ground pattern. Arthropod Structure & Development 36: 143-156. 43. Wirkner, C.S. ; Richter, S. (2007): Comparative analysis of the circulatory system in Amphipoda (Malacostraca, Crustacea). Acta Zoologica 88: 159-171. 42. Wirkner, C.S. ; Richter. S. (2007): The circulatory system of Mysidacea – implications for the phylogenetic position of Lophogastrida and Mysida (Malacostraca, Crustacea). Journal of Morphology 268: 311-328. 41. Brösing, A.; Richter, S.; Scholtz, G. (2007): Phylogenetic analysis of the Brachyura (Crustacea, Decapoda) based on characters of the foregut with establishment of a new taxon. Journal of Zoological Systematics and Evolutionary Research 45: 20-32. 40. Richter, S.; Kornicker, L.S. (2006): The mandibles of a halocyprid ostracod (Halocypridae; Halocypridina; Ostracoda) – a new record of mandibular gnathal edges with a ‚lacinia-mobilis’. Journal of Crustacean Biology 26: 113-118. 39. Richter, S.; Timms, B.V.T. (2005): A list of the Recent clam shrimps (Crustacea: Laevicaudata, Spinicaudata, Cyclestherida) of Australia, including a description of a new species of Eocyzicus. Records of the Australian Museum 57: 341-354. 38. Richter, S. (2005): Homologies in phylogenetic analyses – concept and tests. Theory in Biosciences 124: 105-120. 37. Giribet, G.; Richter, S.; Edgecombe, G.D.; Wheeler, W.C. (2005): The position of Crustacea within Arthropoda: evidence from nine molecular loci and morphology. Crustacean Issues 16: 307-352. 36. Pabst, T.; Richter, S. (2004): The larval development of an Australian limnadiid clam shrimp (Crustacea, Branchiopoda, Spinicaudata), and a comparison with other Limnadiidae. Zoologischer Anzeiger 243, 99-115. 35. Richter, S.; Wirkner, C.S. 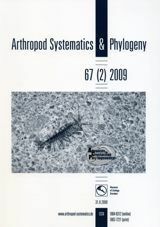 (2004): Kontroversen in der phylogenetische Systematik der Euarthropoda. In: Kontroversen der phylogenetischen Systematik der Metazoa (S. Richter; W. Sudhaus, Hrsgb.). Sitzungsberichte der Gesellschaft Naturforschender Freunde zu Berlin 43: 73-102. 34. Richter, S.; Sudhaus, W. (2004): Vorspann zu den Kontroversen in der phylogenetischen Systematik der Metazoa. In: Kontroversen in der phylogenetischen Systematik der Metazoa (S. Richter; W. Sudhaus, Hrsgb.). Sitzungsberichte der Gesellschaft Naturforschender Freunde zu Berlin 43: 5-14. 33. Wirkner, C.S. ; Richter, S. (2004): Improvement of micro anatomical research by combination of corrosion casts with micro CT and 3D reconstruction exemplified on the circulatory organs of the woodlouse. 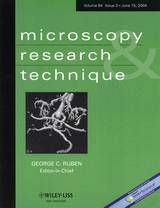 Microscopy Research and Technique 64: 250-254. 32. Richter, S. (2004): A comparison of the mandibular gnathal edges in branchiopod crustaceans – implications for the phylogenetic position of the Laevicaudata (Crustacea, Branchiopoda). Zoomorphology 123: 31-44. 31. Müller, C; Rosenberg, J; Richter, S; Meyer-Rochow, V-B (2003): The compound eye of Scutigera coleoptrata (Linnaeus, 1758) (Chilopoda: Notostigmophora): an ultrastructural re-investigation that adds support to the Mandibulata-concept. Zoomorphology 122: 191-209. 30. Wirkner, C.S. ; Richter, S. (2003): The circulatory system of the Phreatoicidea: implications for the isopod ground pattern and peracarid phylogeny. Arthropod Structure & Development 32: 337-347. 29. Richter, S. (2003): The mouthparts of two lophogastrids, Chalaraspidum alatum and Pseudochalaraspidum hanseni (Lophogastrida, Peracarida, Malacostraca), including some remarks on the monophyly of the Lophogastrida. Journal of Natural History 37: 2773-2786. 28. Edgecombe, G.D.; Richter, S.; Wilson, G.D.F. (2003): The mandibular gnathal edges: homologous structures throughout Mandibulata? African Invertebrates 44: 115-135. 27. 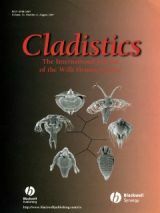 Olesen, J.; Richter, S.; Scholtz, G. (2003): On the ontogeny of Leptodora kindtii (Focke, 1844) (Crustacea, Branchiopoda, Cladocera) – with notes on the phylogeny of the Cladocera. Journal of Morphology 256: 235-259. 26. Timms, B.V.; Richter, S. (2002): A preliminary analysis of the conchostracans (Crustacea: Spinicaudata and Laevicaudata) of the middle Paroo catchment of the Australian arid-zone. Hydrobiologia 486, 239-247. 25. Richter, S.; Edgecombe, G.D.; Wilson, G.D.F. (2002): The lacinia mobilis and similar structures – a valuable character in arthropod phylogenetics? Zoologischer Anzeiger 241, 339-361. 24. Braband, A.; Richter, S.; Hiesel, R.; Scholtz, G. (2002): Phylogenetic relationships within the Phyllopoda (Branchiopoda, Crustacea) based on mitochondrial and nuclear markers. Molecular Phylogenetics and Evolution 25, 229-244. 23. Richter, S. (2002): The Tetraconata concept: hexapod – crustacean relationships and the phylogeny of Crustacea. Organisms, Diversity and Evolution 2, 217-237. 22. Brösing, A.; Richter, S.; Scholtz, G. (2002): The foregut-ossicle system of Dromia wilsoni, Dromia personata and Lauridromia intermedia (Decapoda, Brachyura, Dromiidae). Arthropod Structure and Development 30, 329-338. 21. Richter, S. (2002): Evolution of optical design in the Malacostraca (Crustacea). In: The Crustacean Nervous System (Ed. K. Wiese), 512-524. Springer, Heidelberg. 20. Olesen, J.; Richter, S.; Scholtz, G. (2001): The evolutionary transformation of phyllopodous to stenopodous limbs in the Branchiopoda (Crustacea) – Is there a common mechanism for early limb development in arthropods? International Journal of Developmental Biology 45, 869-876. 19. Richter, S.; Scholtz, G. (2001): Phylogenetic analysis of the Malacostraca (Crustacea). Journal of Zoological Systematics and Evolutionary Research 39, 113-136. 18. Richter, S.; Braband, A.; Aladin, N.; Scholtz, G. (2001). The phylogenetic relationships of „predatory water-fleas“ (Cladocera: Onychopoda, Haplopoda) inferred from 12S rDNA. Molecular Phylogenetics and Evolution 19, 105-113. 17. Richter, S. (2000): Franz Eilhard Schulze und die Zoologische Lehrsammlung der Berliner Universität. In: Theater der Natur und Kunst / Theatrum naturae et artis. Wunderkammern des Wissens. Bredekamp, H. Brüning, J. Weber, C. (Hrsgb. ), 119-127. 16. 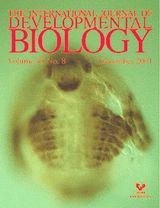 Eder, E.; Richter, S.; Gottwald, R.; Hödl, W. (2000): First record of Limnadia lenticularis males in Europe (Branchiopoda: Conchostraca). Journal of Crustacean Biology 20, 657-662. 15. Richter, S. (1999): The structure of the ommatidia of the Malacostraca – a phylogenetic approach. Verhandlungen des naturwissenschaftlichen Vereins Hamburg (NF) 38, 161-204. 14. Richter, S. (1998): Die Lehrsammlung des Zoologischen Instituts der Berliner Universität – ihre Geschichte und ihre Bedeutung. Sitzungsberichte der Gesellschaft Naturforschender Freunde zu Berlin (N.F.) 38, 59-76. 13. Richter, S. (1998): Die stammesgeschichtlichen Verwandtschaftsbeziehungen der Flußkrebse – die Stellung der Astacida im phylogenetischen System der Decapoda. Stapfia N.F. 137, 213-220. 12. Richter, S. (1997): Die Brehm-Gedenkstätte in Renthendorf (Thüringen). Sitzungsberichte der Gesellschaft Naturforschender Freunde zu Berlin (N.F.) 36, 178-182. 11. Scholtz, G.; Richter, S. (1995): Phylogenetic systematics of reptantian Decapoda Malacostraca: Crustacea). Zoological Journal of the Linnean Society 113, 289-328. 10. Richter, S. (1995): Aspekte der phylogenetischen Systematik der Malacostraca (Crustacea). Verhandlungen der Deutschen Zoologischen Gesellschaft 88.1, 150. 09. Götz, P.; Richter, S. (1995): Exkursion zum Rietzer See. Sitzungsberichte der Gesellschaft Naturforschender Freunde zu Berlin (N.F.) 34, 197-199. 08. Richter, S.; Meier, R. (1994): The development of phylogenetic concepts in Hennig's early theoretical publications. Systematic Biology 43, 212-221. 07. Richter, S.; Scholtz, G. (1994): Morphological evidence for a hermit crab ancestry of lithodids (Crustacea, Decapoda, Anomala, Paguroidea). Zoologischer Anzeiger 233, 187-210. 06. 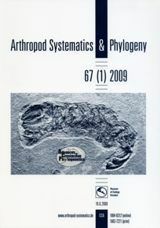 Richter, S. (1994): Monophylie der Lophogastrida und Phylogenetisches System der Peracarida (Crustacea). Verhandlungen der Deutschen Zoologischen Gesellschaft 87.1, 231. 05. Scholtz, G.; Dohle, W.; Sandeman, R.E. ; Richter, S. (1993): Expression of engrailed can be lost and regained in cells of one clone in crustacean embryos. International Journal of Developmental Biology 37, 299-304. 04. Richter, S. (1993): Die Eucarida sind nicht monophyletisch – Ommatidienstruktur deutet auf nähere Verwandtschaft von Euphausiacea, Syncarida und Peracarida (Crustacea). Verhandlungen der Deutschen Zoologischen Gesellschaft 86.1, 144. 03. Richter, S. (1993): Phoretic association between the dauerjuveniles of Rhabditis stammeri (Rhabditidae) and life history stages of the burying beetle Nicrophorus vespilloides (Coleoptera: Silphidae). Nematologica 39, 346-355. 02. Meier, R.; Richter, S. (1992): Suggestions for a more precise usage of proper names of taxa. Ambiguities related to the stem lineage concept. 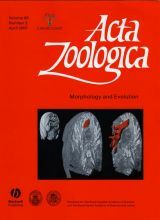 Zeitschrift für Zoologische Systematik und Evolutionsforschung 30, 81-88. 01. Richter, S. (1991): Zum Lebenszyklus von Rhabditis stammeri. Bemerkenswerte Bindungen eines aasbesiedelnden Nematoden an Totengräberkäfer (Nicrophorus/ Silphidae). Sitzungsberichte der Gesellschaft Naturforschender Freunde zu Berlin (N.F.) 31, 125-136.